Mice are small rodents that usually have pointed snouts and small ears. The body is typically elongated with slender, usually hairless tails, but different types of mice show large variations. Body dimensions vary considerably by species, though some approximate values are available: total length 28-130 mm. The original motivation for the domestication of cats is thought to have been for their predation of mice and their relatives, the rats. Mice causing problems in your lawn or garden? Mice can be harmful pests in the home, spreading diseases through their parasites and feces. They find their way into your homes from small cracks along foundations and doorways. For most people, poisons, traps and glue strips are hard to deal with and can be dangerous to children and pets. If mice die in the home they can smell up the entire house. 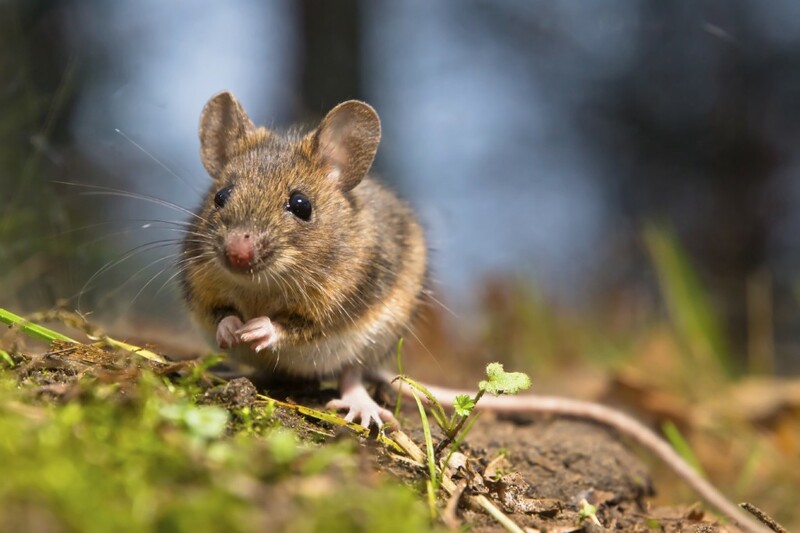 Nature’s Defense is the most powerful form of Mice Control available today and your natural solution that is easy to use and guaranteed to work. What is Nature’s Defense? 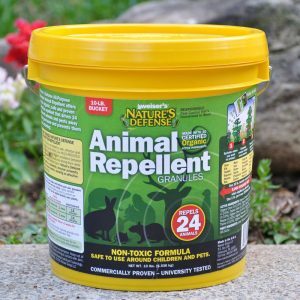 Nature’s Defense is a powerful Patent Pending granular animal repellent that uses the strongest, most effective animal repellent ingredients found in nature today. 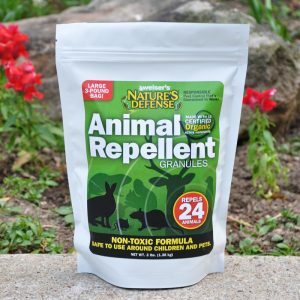 25 years of animal research and testing has gone into the development of this first-of-it’s-kind organic all purpose animal repellent that is 100% safe, organic and easy to use. Now you can use the same research proven formula that professionals use as part of their animal control business. Controlling deer is easy by simply sprinkling Nature’s Defense organic formula around the area you want to protect; your deer problem will be solved quickly and easily. 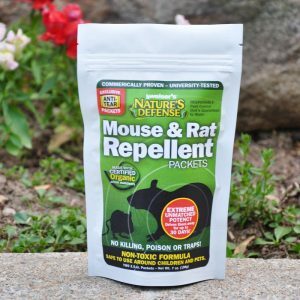 Nature’s Defense Mouse & Rat Repellent Packets work in problem areas around your home, including the attic, crawl space, cabinets, basement, garage, shed, RVs, winter storage areas, and more. Each 3.5-oz packet will cover approximately 100 sq. ft. and last for up to 30 days. Simply place the packets in any areas where problems exist, particularly at the point of entry. Pay special attention to feeding and nesting sites. Get Your BEST Protection Using Our 2-Part System: Use with Nature’s Defense All-Purpose Granular Repellent for a TOTAL home barrier.